That doesn’t happen as much anymore. We are now living in the age of #content. Social content, video content, inbound content—everything is content. And yet, when you tell someone that “this will make great content,” even though we all understand you, and we may all agree, we’re all cringing a little. I’m just going to say it: the phrase sounds dumb. But it’s not just our internationally collective overdose of content that’s the problem. It’s a lot of buzzwords. The marketing universe is filled with them, and the inbound galaxy—solar systems of social media, blogging, SEO, et al—is rife with nonsense. The irony? Bluntness works. Nobody thinks the phrase “We produce high-quality, original inbound written content” is better than “We write great articles.” Specificity trumps generality. One sells, the other obfuscates. I mentioned this above, but let’s clarify. “Content” is vague. It’s worse when paired with fancy-sounding adjectives: bespoke content (you mean “original”? ), grabby content (it’s assumed your marketing should grab audiences), evergreen content (okay, admittedly “evergreen” is a distinct and useful word), sticky content (you mean articles that people actually want to finish?). Instead of broad terms like these, drill down to specifics. If you’re producing an original video series for a client, you’re not creating “bespoke content.” You’re producing an original video series. We are not living in George Orwell’s 1984; more words are not always worse. These have their place, but they’re still vastly overused. People do not “leverage their reputation to promote a product”; they simply promote a product. I’ve personally never heard anyone say “leverage” in casual conversation and not sound pretentious. What agency is still working only with text anymore? 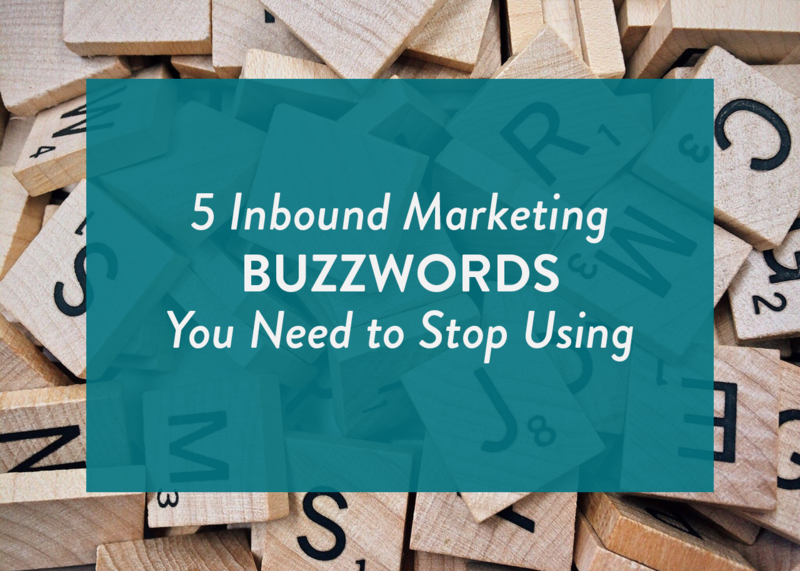 If your inbound strategy doesn’t have multiple media involved, you’re doing it wrong. You don’t need to run an expert video campaign to promote something on multiple social platforms. So much media! So multi! It is embarrassing to see how many marketers and salespeople will throw out a massive number like 5 million, only to undermine it by preceding the number with “a global social reach of.” The very definitions of “reach” versus “impressions” have changed enough that some people will genuinely believe “a global social reach of 5 million” means 5 million people saw your campaign. It doesn’t. It means 5 million people could have seen your campaign, based on the social connections of each person who engaged with your campaign on social media. If 10 people with 100 followers used your hashtag in an Instagram contest, your hashtag did not automatically get 1,000 impressions. You maybe got 300. That social reach of 1,000 is a profoundly meaningless number. I don’t know at what point we started referring to companies as brands, or people as brands, or products as brands, but suddenly everything is now a freakin’ brand. We’re over-branding. If I told you I ran a lifestyle-management brand, you’d have absolutely no idea what I do for a living. Branding is meant to evoke an emotion instead of a literal concept of a thing—so Gucci would be a luxury fashion brand, which theoretically makes it more alluring than calling it a company that produces luxury goods. I get it; it’s sexier. But it’s also frequently confusing. Inbound marketers could do with a little less branding and a little more selling—what makes the product great? What makes it unique? What makes it worth my time? Use specific language, not fluff. You’ll find you’re no longer speaking in marketer’s tongue; you’re speaking the same language as your clients, your audiences, and the rest of the world.